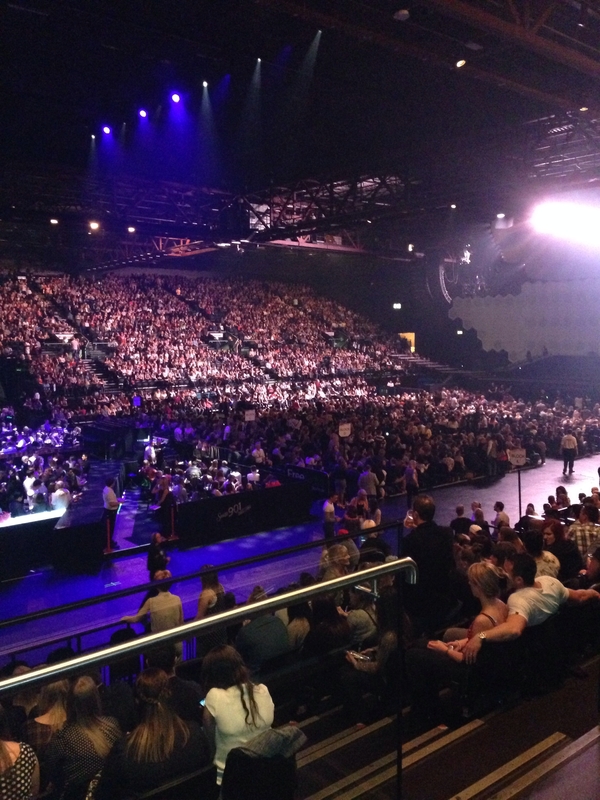 For more information check out our LG Arena, Birmingham: FAQs below! If there are any questions we haven’t covered, please leave a question in the comments section. 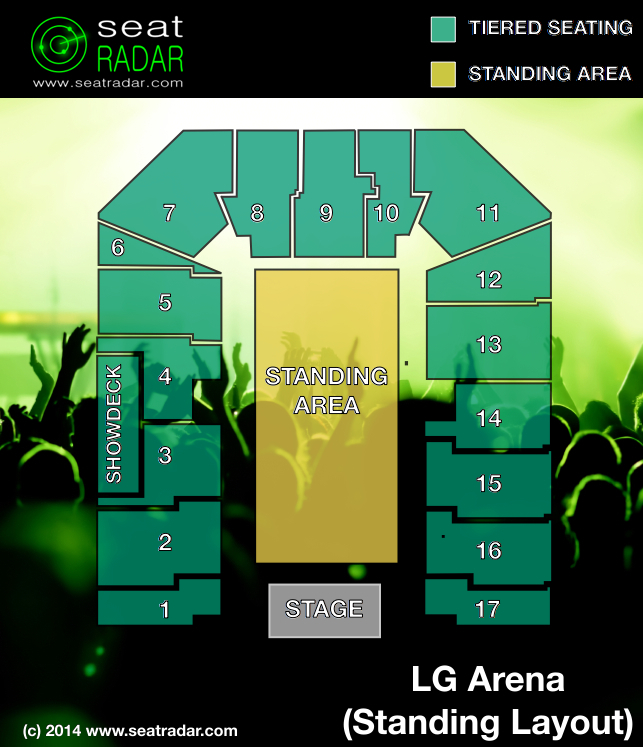 See the layouts for the LG Arena Seating Plan in our gallery below. (Click on images to enlarge). What are the best seats at the LG Arena? 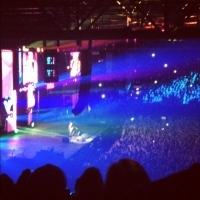 What is the view like from Block [...] of the LG Arena? Are these good seats? 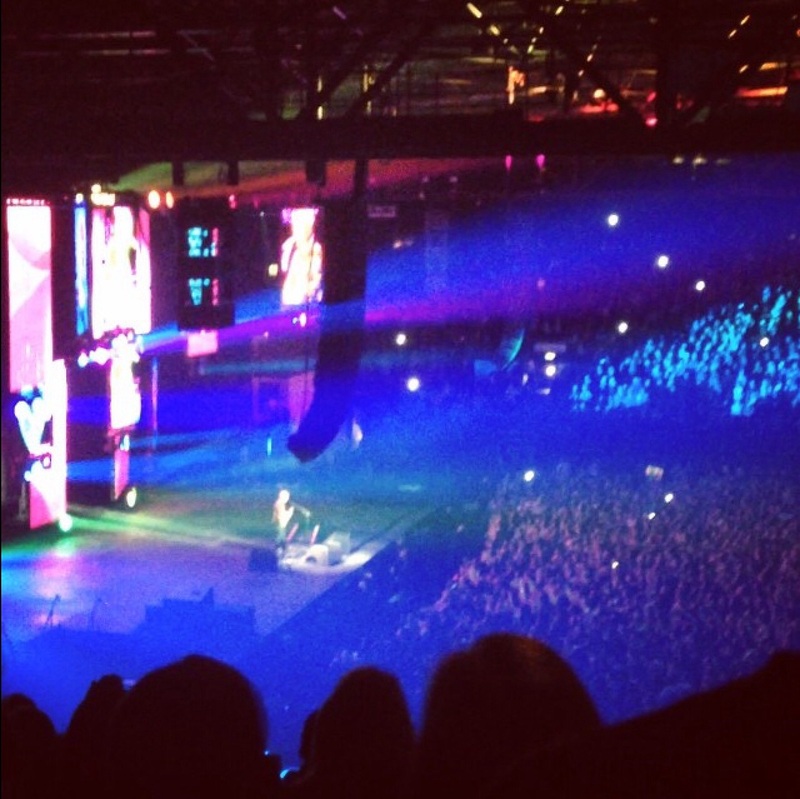 Have a question about the LG Arena? Leave a comment below and we’ll do our best to help! What are the show seats like ? I am taking my 3 yr old to see Disney on ice and booked block 13 row E430-E432, are these seats any good for my little one? Thank you. Hi. Are seats 394 to 397 block 12 row E good for children? Thanks. Disney on Ice. Hi, I have just bought tickets for my daughter to see Ariana Grande in May 2017. The Block is block G/Q seats 11/12 could you let me know where these are as i can’t see a block G/Q? I am going to Disney On Ice @ Genting Arena.. Which seats would be better for a small 5 year old? I assumed Row A because its the front row, but then i read about the first few rows of lower tiered seats might actually not be that great because of the height/distance ratio from the stage? Hi iv just booked tickets for Dancimg on ice, my seats are block 15 row b and seat number around 470′ are these good seats? 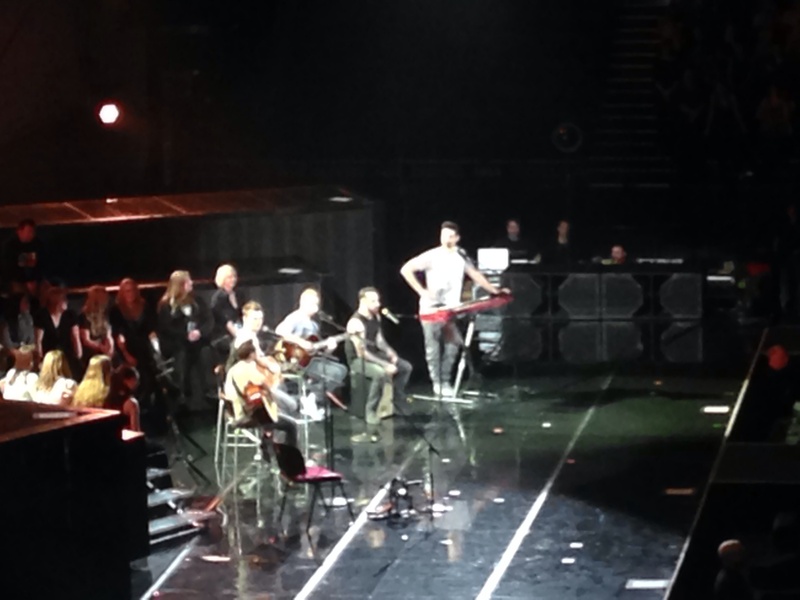 Section BLK C, Row Z, Seat 4 for Busted’s concert, May 20th 2016. Good seat or bad seat? I am looking at tickets for X Factor live with my 10 year old daughter. I have decided that tiered seating would be best but can’t decide between seats in block 2 row L (close to the main stage but higher up) or seats in block 14 row C (lower down but further from the main stage but close to the stage B). can you help? 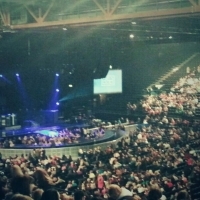 My mum have bought me tickets to see 5 Seconda of Summer and we are in block 8, row A, seat 246 is that any good at the NEC, Birmingham? 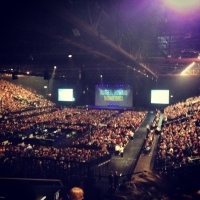 Is block 8, row A, seat 246 good at the NEC, Birmingham? Is block 8, row 8, seat 246 good at the NEC, Birmingham? I have Disney on Ice tickets, Lower tier block 10 row R, Birmingham, Will these have a reasonable view of ice rink or will they seem far away? Thanks! 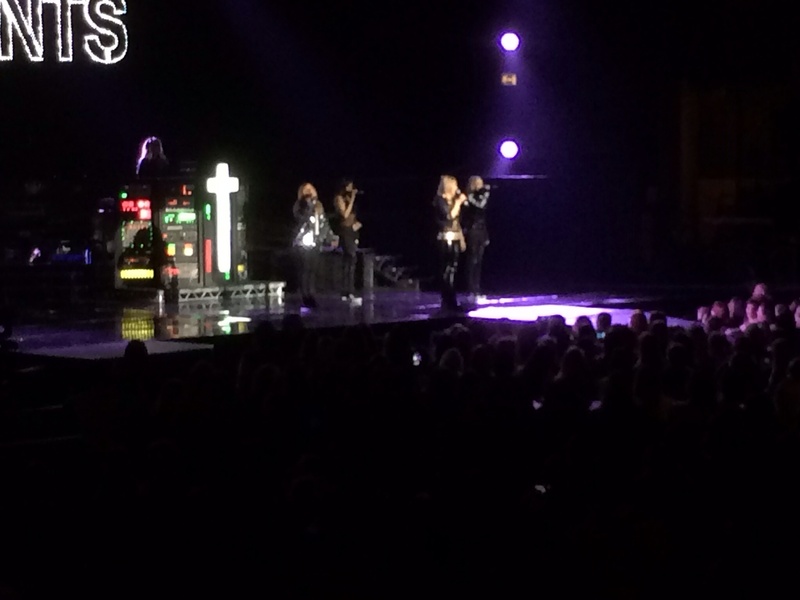 hi, we have tickets for Fleetwood mac block 4 row J…. is it a good close view? Hi. 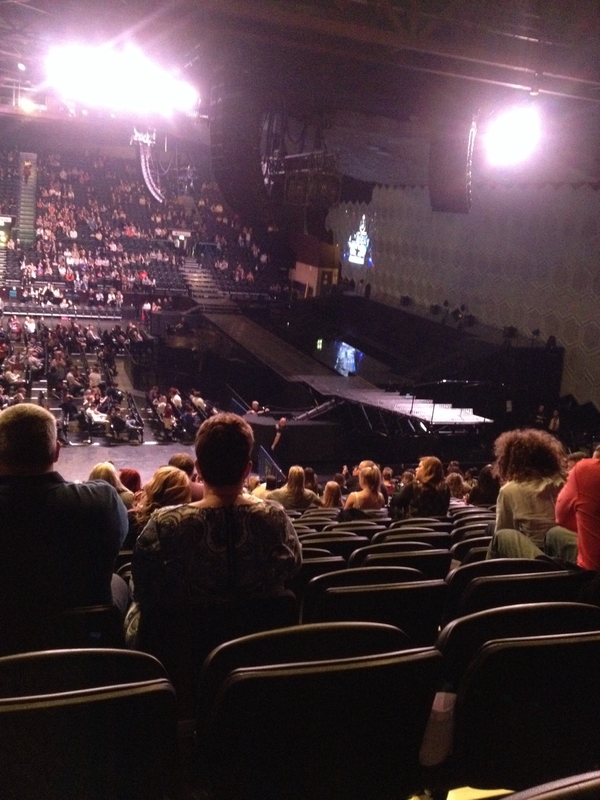 I have tickets to see Florence and the Machine in Block 6, Row YA, seats 155-154. 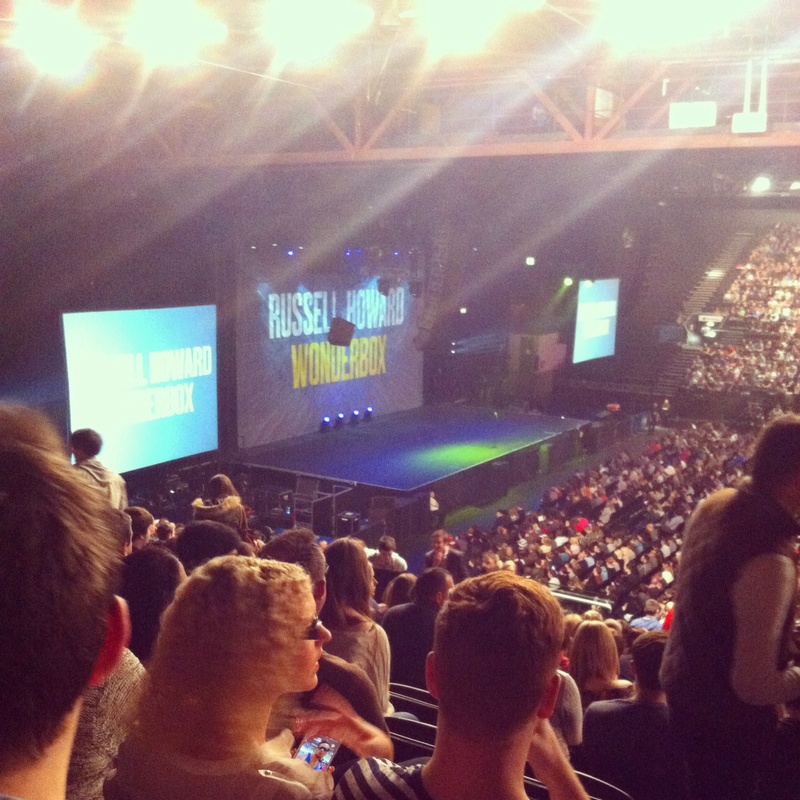 I purchased before checking the seating plan and now I’m worried the view will be bad as its right at the back corner? 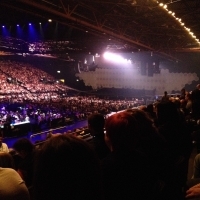 I am going to see take that again on the 23rd of June I have tickets for Block 1 row Y – wondering if the view is ok? We are coming to the Arena on 6th June for the Rock Choir event and have been allocated to block G. This is not shown on any maps which have blocks A – F then numbered blocks. Is block G the same as block 1? One lady has requested an aisle seat from our allocation but I don’t know which numbers they are. 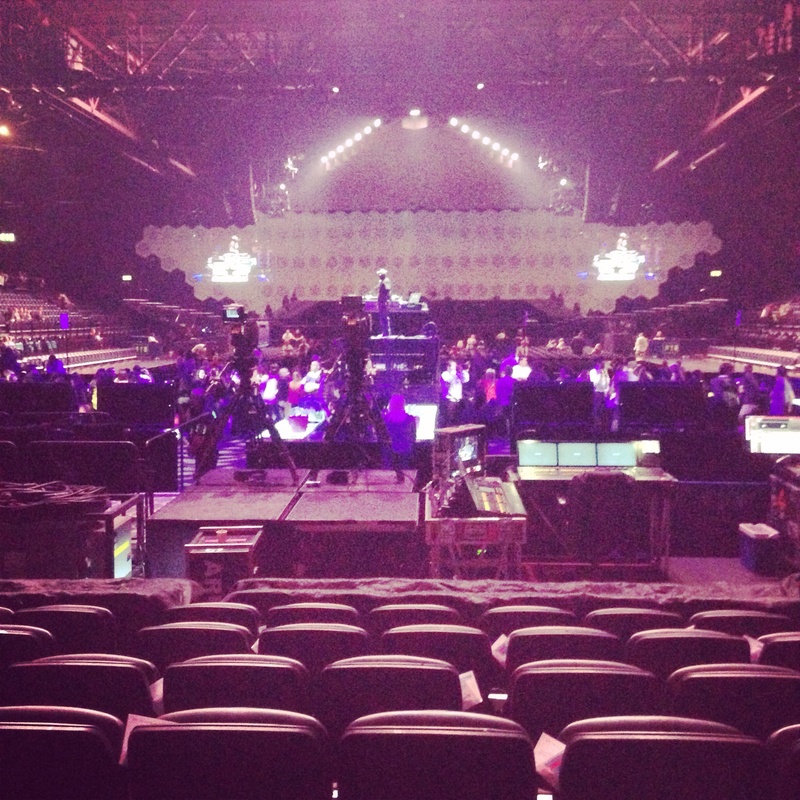 We have seats numbered from 12 to 18 – are any of these aisle seats? 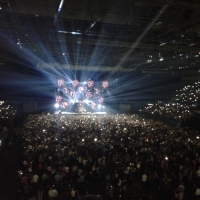 We have general standing tickets for Take That on 15th May. Always have standing tickets, arrive really early and get right to the front. 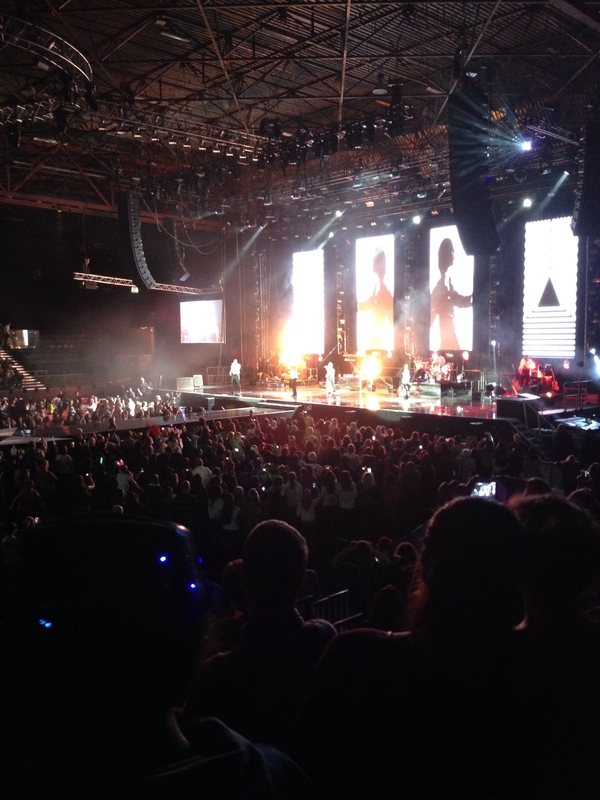 One of our friends thought she couldn’t make it so went on seatwave to see what tickets were selling for only to find there is premium standing left and right at front of stage. Absolutley gutted as these weren’t available to us as fans when we purchased on pre-sell. Can you tell me how far back the premium standing goes? 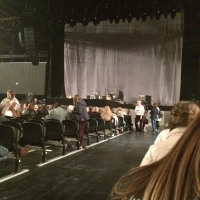 How close to the stage are we likely to be able to get? For the take that concert next week I have the choice of either block 2 row f seats 27 and 28, or , block 2 row E seats 44 and 45. Which has a better view? Hi I have 6 tickets block 15 U 472/477 I also have 1 ticket block 16 row N seat 510 can someone tell me if these seats are far away from each other, basically I want to know if one pal was in block 16 and most people are standing/dancing would she be far away from us and could she even join us in block 15? Tickets are for Take That. I’m seeing 5 Seconds of Summer at Birmingham NIA on the 5th of June, my mum brought show deck tickets and I’m in block 6 seat a 8 ? I’m not too sure what a show deck ticket is, and was wondering if i would have a good view? Hi Sophie! Lucky you! The show deck has slightly more comfortable seats with a bit more legroom and a private bar. View-wise they are pretty high-up, a good photo for comparison is the shot from Block 14 Row Y. Hope that helps a bit! I was wondering what the view would be like from block 17 Row Y seat numbers 552 and 553 at a WWE live event in April, would these seats be able to see the ring clearly? and would these seats be restricting? Hi Jackson, difficult to anticipate exactly how clear it would be from there but the seats are a little way from the ring and you will be looking out at an angle. That said, no obvious reason to expect that you’re view would be restricted as such (presumably the ticket isn’t marked restricted). 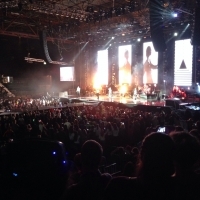 Upper block 8, row U for the X factor sat pm – are these suitable for a 7 and 8 yr old? What is the view like? Hey Carolyn, the seats are quite high up but provided the children don’t have a specific phobia of heights they should be ok. 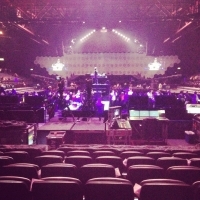 The seats are towards the back of the arena but are well placed for a nice straight-on view of the stage and the screens. It would be superb if you could come back and upload a photo to the gallery. It’s very quick and simple – if you have any trouble, leave us a comment, email info@seatradar.com or tweet us on @seatradar. Have a great time. 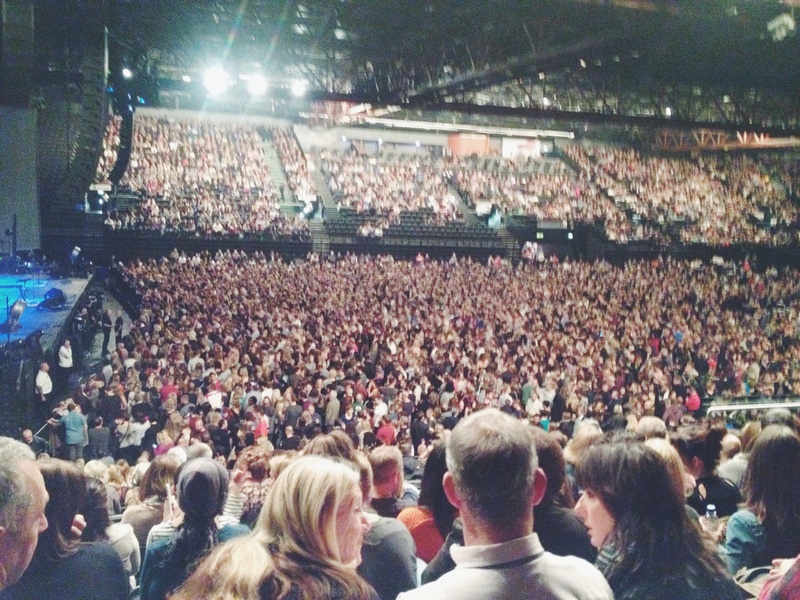 Hey Nicola – standing tickets are almost never allocated in a way which means you have to be in a certain spot. The numbers are almost certainly just for admin purposes. 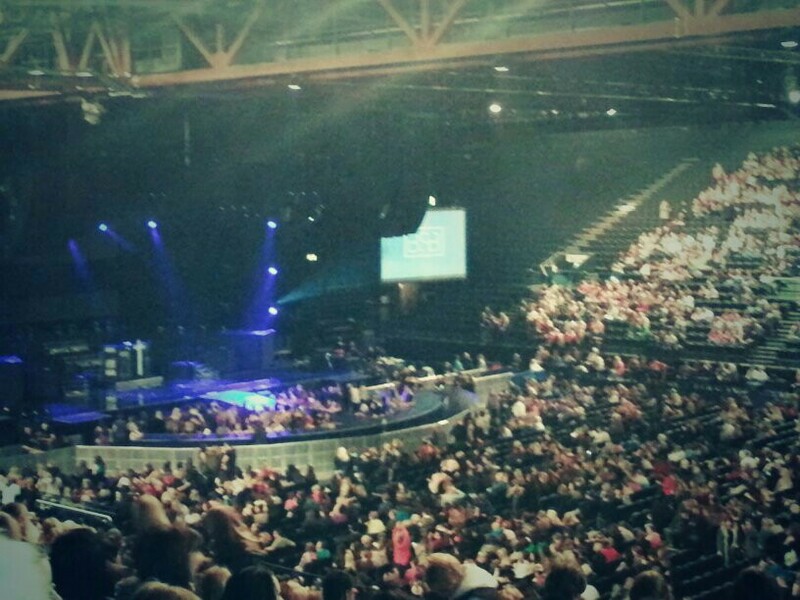 There will be three standing areas at the TT concert. 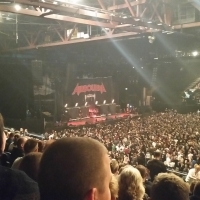 The main one and then two “pits” right at the front by the stage – one on the left and one on the right. Usually these are called general, PIT-L and PIT-R but the agency you bought the tickets from must be labelling these differently A, B and C maybe? 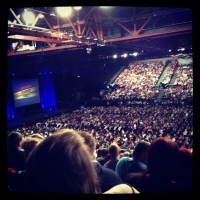 You should give them a call and check which area you will be in and then get there early to get as close to the front of whichever section you are in as possible (we’re assuming that’s what you want do!). Hope that helps have a great time! Just wondering what the view is like please as I can’t see any reviews /pics from this area! 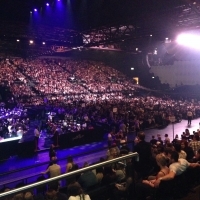 Hi, I have tickets to see Take That on Friday 15 May, the seating/standing location says PITL – can you tell me if they are seating or standing and how close to the stage are they. Thank you. That’s great thank you, just wondered how busy the Pit areas tend to be. Will they be really crowded as my experience of those areas are generally pretty good and they don’t oversell tickets? Hi Annette – in honesty we’re not sure whether it’s the same for every show or whether it varies but on the basis of your own comments it should be fine! 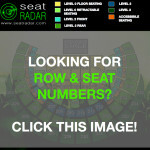 Hi Kam – the position of these seats are as shown on the detailed plan you can access via our subscriber area here: http://www.seatradar.com/sr/vip/. No need for a DOI specific plan since the configuration of the tiered seating in the side blocks doesn’t change. Hi Cat – we’re not 100% on the seat numbers for this event but basically what’s happening is that the blocks that would usually be D E and F are all just one big Block F for WWE and the walkway goes right through the middle of Block 4. So, whatever happens you won’t be too far from the walkway. There are usually 50 seats in Blocks D, E and F altogether, if we assume 10 have been removed for the walkway that means 20 on each side and would suggest that seat 40 would in fact be right on one side (i.e. 20 seats along from the walkway) but that is all just guesstimation! I purchased in November what was termed as two premium tickets for the Bette Midler concert in July this year and have been assigned Block 1 row E. However I have not been advised of actual seat numbers and when I enquired with Ticketmaster were told the actual seat numbers would be assigned much nearer the time. Do you know if this is usual? Hi Michael – no we wouldn’t describe this as “usual” but if you have had a direct confirmation from Ticketmaster we wouldn’t panic until a couple of weeks before the event! I’ve just managed to get Disney on ice tickets- Block 3- row D- seats 4, 5, and 6. Any restrictions? Are these good seats? 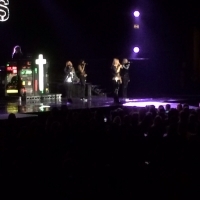 Hi Grace yes these would be good seats and no restrictions that we are aware of. Hi Jo – unless your mum is a very fit and robust 70yr old it could mean that you’d have to avoid being too close to the front where there would a lot of jostling etc. 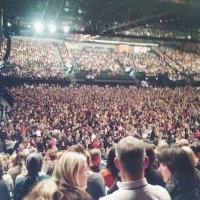 If she won’t be comfortable standing for the duration of the show you may be better off trying to sell them and buy seated tickets. Sorry to hear that you didn’t quite get what you are expecting – it can be tough when you know the tickets are selling out fast! is block 5 row u good? Hi Sean – we have a photo from Block 5 Row K. You’ll be a few rows further back/up. 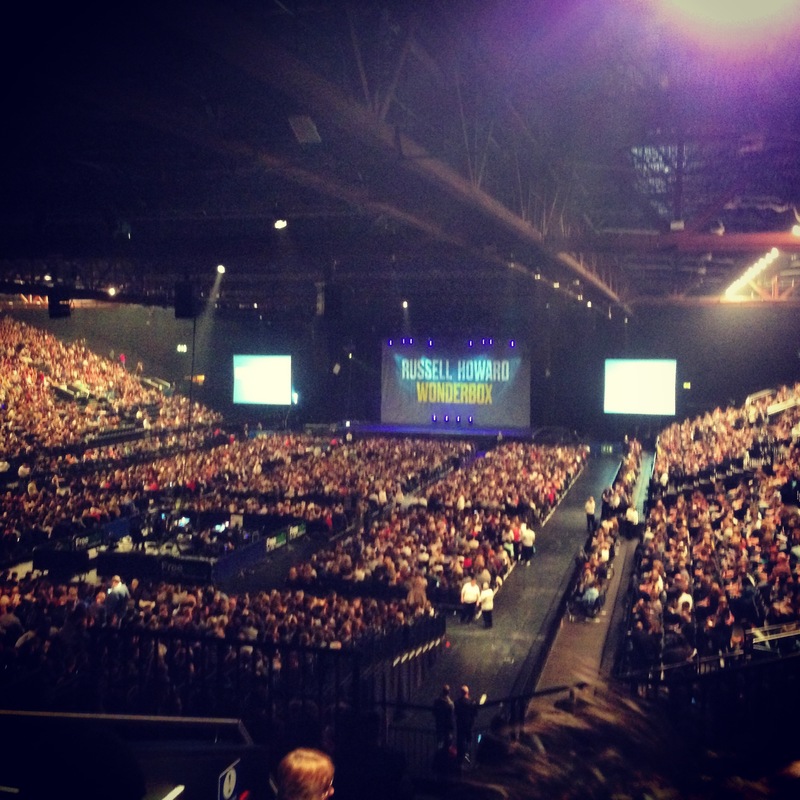 Fairly average seats we’d say. Thanks for the reply! 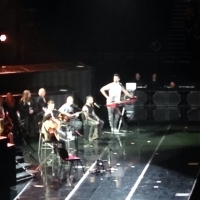 forgot about this but had good seats! No problem glad you had good seats – be sure to upload a pic of if you haven’t already! 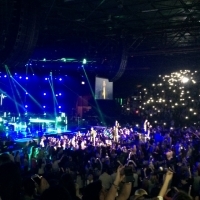 Hey Liam – yes they’re pretty good tickets. Check out the two photos from Block 14. 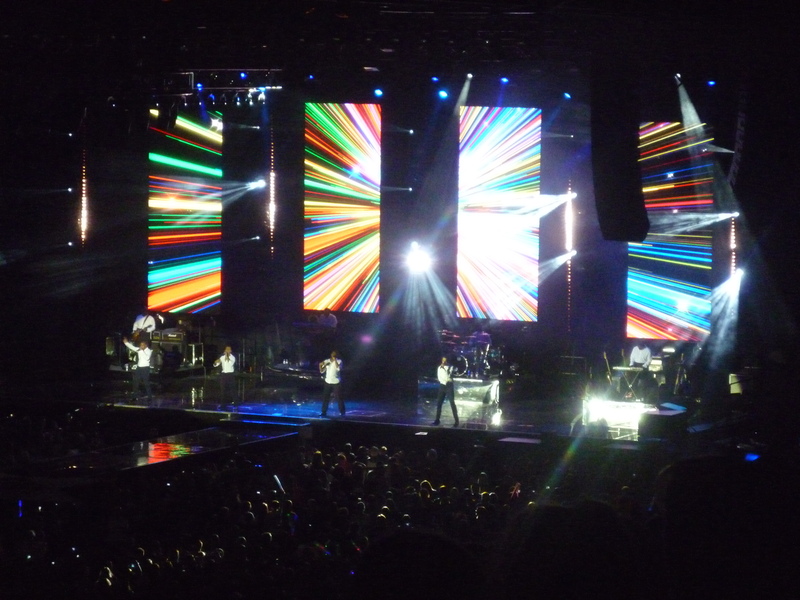 Your block is closer to the stage and your seats are several rows lower so overall a nice view. Have a great time and please do come back to upload a pic after the show! Got tickets for Block 8 row A, good seats or not? Hey Stefanie – is that definitely the row (A?). Front row in that block is usually J. It’s a decent block since it’s centrally located even if it’s at the back of the venue. Would be interested to know if that’s the row on your ticket though. Is lower block or upper block better suited for very young children watching Justin’s House? Hi Gary – no particular knowledge of that show but in general there doesn’t seem to be any reason why the upper block would be more suitable for younger children. On that basis lower block would likely be better as it’s closer to the action. Hi Steve – they are slightly more comfortable seats with a big more legroom and a private bar. View-wise they are pretty high-up, a good photo for comparison is the shot from Block 14 Row Y. Hope that helps a bit! I’m looking to book tickets for Fleetwood Mac in July. Tickets are labelled as “tier” rather than “block” – does this mean the same thing? Also some are labelled as being in tier with general admission (?!) 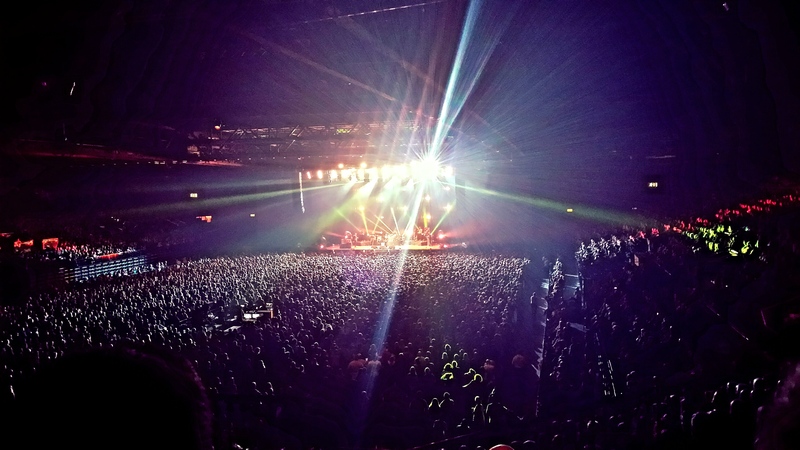 Could you please advise on the following – “tier 9, row ZA, seat 275 ” “tier 5, row A, general admission” & “tier 4, row Q”? Many grateful thanks! Hi Laura – unusual to refer to tiers instead of blocks or sections (although sometimes individual blocks or sections will themselves have an UPPER or LOWER tier). That said, the rest of the details i.e. row/seat numbers match the relevant blocks i.e. there is a row ZA seat 275 in Block 9 so it seems that they are just using tier instead of block for some reason. 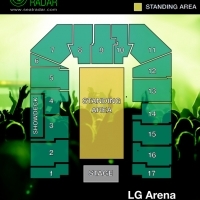 You can see where all the blocks and rows are in our detailed seating plan (www.seatradar.com/sr/lg-arena-detailed-seating-plan). Of the three, Block 5 Row A would probably be best overall but unsure why it is described as general admission as this would imply “first come first served” which is unusual for tiered seating. Hi Tanny, if a ticket is restricted it should say so on its face. 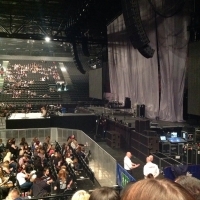 Row X is towards the back of Block 13 and quite high up but not restricted view as far as we know. BUT this can change from show to show and if you are concerned please do check with the ticketing agent and/or the venue directly. Hi Greg, they are good tickets. If you’ve already bought them congrats and enjoy the show! Hi, I’ve got me a ticket to see Take That,it’s row N seat 13. Please can you tell me what my view will like and have you got any pictures? Hey Dawn – it’s a side view but not a horrible restricted angle where you’re almost behind the stage or anything like that! 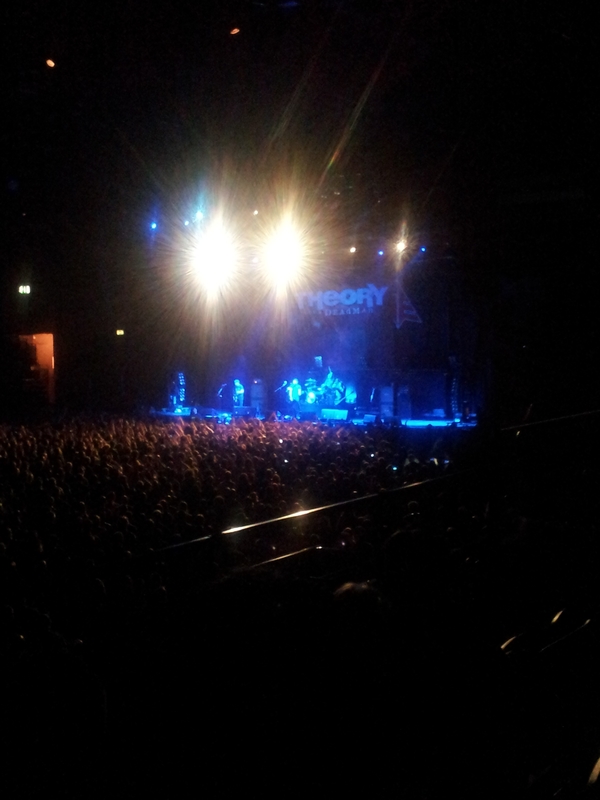 In fact, it’s pretty much at right angle with the middle/front of the stage. Also, your seats are towards the end of the row which is nearest to Block 2 so even less of an issue there. 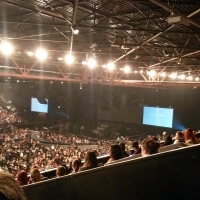 Other than that Block 1 is clearly very close to the stage and you’re not that far up/back in Row N (starts at A) so you’ll feel nice and close to the action and have a decent view. We’ve no doubt you’ll have a great night in those seats. Have fun and don’t forget to come back and upload a pic! Thanks admin. Can you tell me please, what will the view be like in block 17 row e seat 522 ? Hi Dawn – pretty much exactly the same as for Block 1 Row N Seat 13 but obviously it’s a better seat since it’s several rows closer and the seat number is (very very slightly better) since it’s only one away from the aisle with Block 16. Hi looking to bring 4 year old to see disney on ice where would be best view for her? Hi Lynda – many people like to go for the rinkside seats if they’re available and not out of budget. We’d just say that in previous years we’ve heard that the front two rows are not tiered at all so this could definitely be an issue for your four year old trying to look over heads. If thinking of rinkside we’d suggest contacting the venue directly to see exactly what the setup will be this year. Otherwise, your best bet will probably be one of the more centrally located tiered blocks e.g. 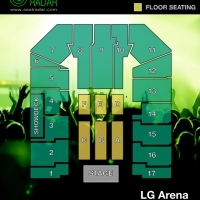 3, 4 or 14 perhaps in around Row G or H.
Hi Kelly – not sure of exact seat numbers for this event but the arrangement of the floor seating areas around the ring will be as shown below (the ring is represented by the square symbol between Blocks D and E). Block F runs from Row A to Row R, with Row A being closest to the ring. Hi, looking a booking WWE wrestling at the LG, I have 2 young kids and would like to be in tiered seating but still close to the ring/view of entrance ramp. Can’t find very good plans of the wrestling configuration. Appreciate some general advice where to sit. Many thanks. I’m looking at seats in block 3 row Z – 4 seats together are these seats to the left of block 2 as in the last picture on the bottom row… also is there any restrictions I need to know about?? as it seems the show deck is right next to it?? Hi RB – yes if you look at the photo you mentioned you’ll be just to the left of the aisle shown. No restrictions we’re aware of. 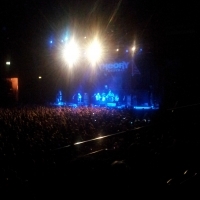 My husband suffers from vertigo so can’t sit high up. Is row U high? Hi Jenny – yes Row U is pretty high up. Probably too high for somebody with vertigo We’d recommend Row H or lower if possible. Block 17 row YB know this is side view but is it restricted ? 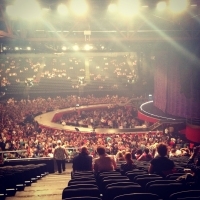 Hi K – although not the best view since you’ll be looking at the side (or back) of the performer(s) most of the time it’s not generally regarded as restricted view. That said, every setup is different so if you have a serious concern please double check with the venue and/or your ticketing agent. Hi Sharon – pricing is a bit outside our scope but to the best of our knowledge there are 3 options – general standing, front zone (right) and front zone (left). 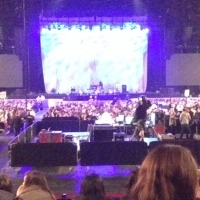 These two zones at the front are closer to the stage. They are likely to cost more than the rest of the general standing area. Within the general standing area we thought there was just one price but this is something you’d need to check with the ticketing agent if you’ve seen otherwise. 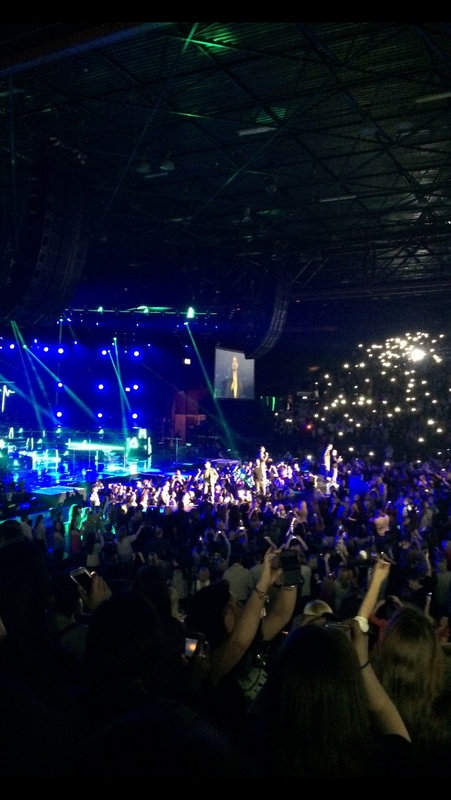 Just booked lg freestyle tickets for take that 2015 block 15 row u. Does anyone know what seats are like? Hey David – take a look at the last row of photos above, 3rd photo in, it’s from Block 14 Row Y, from seats which are fairly close to Block 15. 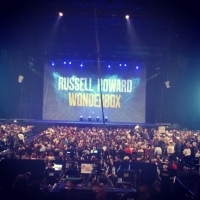 So it’s a very similar view save that you’ll be in a better position as Block 15 is closer to the front of the arena and your seats are a few rows further forward. Have a great time, we’d love a photo for the gallery after the show. 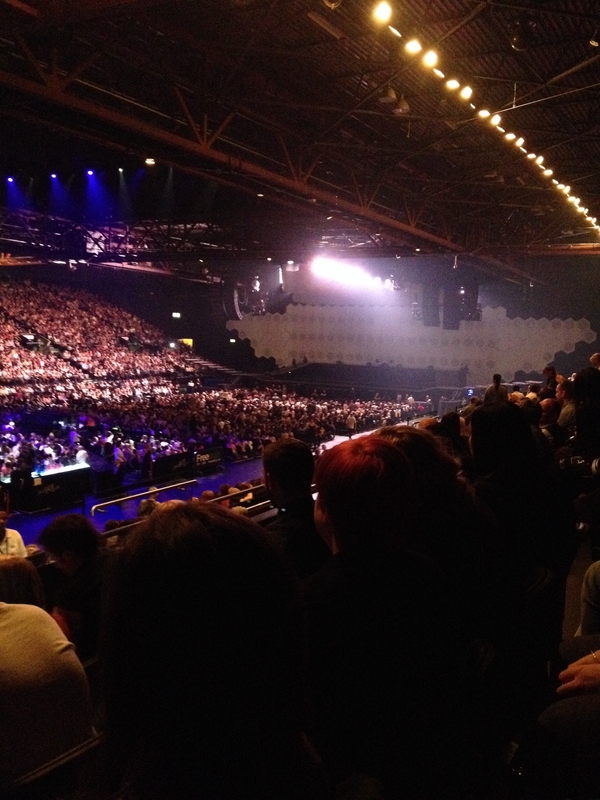 I have just booked Take That tickets block 8 row YE seats 246,247,248. Not sure what the view will be like can you give me some idea please. 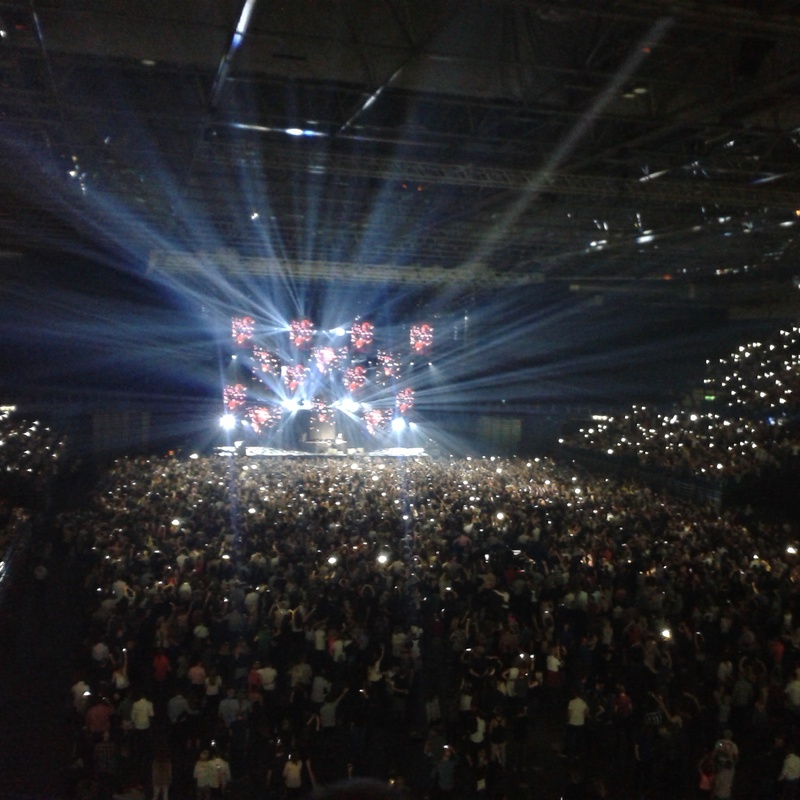 Ive got take that tickets block 1 row z . Any idea how restricted our view will be, and will i find vertigo a problem being that high, or are the seats gently graduated? 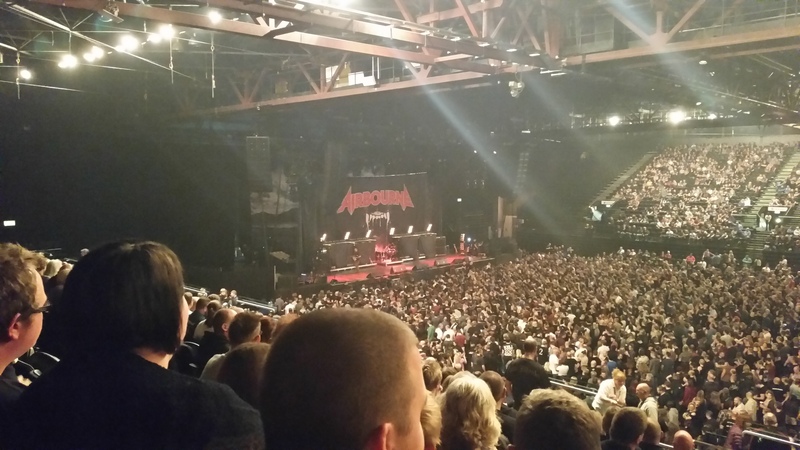 Hi Angela – assuming you don’t normally suffer with vertigo and that you’ve sat fairly high up in another venue you should be ok here. That said only you can judge how happy you are with the height! Best thing to do is check out the last pic above (from Block 2 Row YB). That row is 2 rows higher than Row Z. 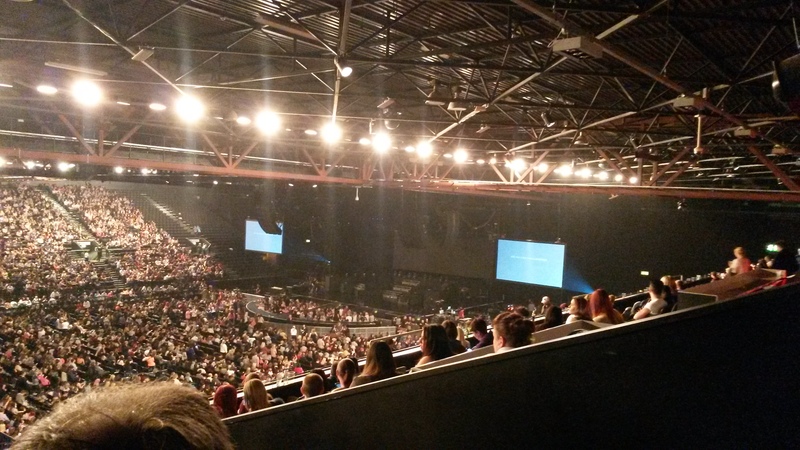 If you look across to the other side in that photo you can also see how the seats bank up in the tiered sections. Only other thing is that it can be a little hot/stuffy in the upper rows so it can be a good idea to wear layers that you can peel off! 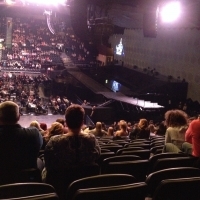 Your view will be pretty much at a right-angle to the stage. 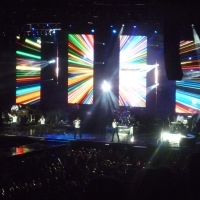 So you may struggle to see the screens and won’t get a great sense of any special effects/screens that are behind the performers. Also there are usually some fairly bulky speakers and other tech gear suspended at the top of the stage on that side although that shouldn’t be in the line of sight to the performers. Oh yeah – don’t forget to come back and upload a photo! 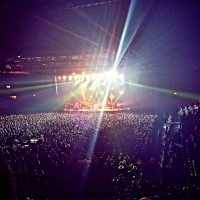 Been to any other good gigs recently? I have take that tickets in block 14, row yd, seat 460 & 461, is that right at the very top of the arena ? Any good for a view? Hi Shamal – if you look through the photos above there is one from Block 4 Row YD. 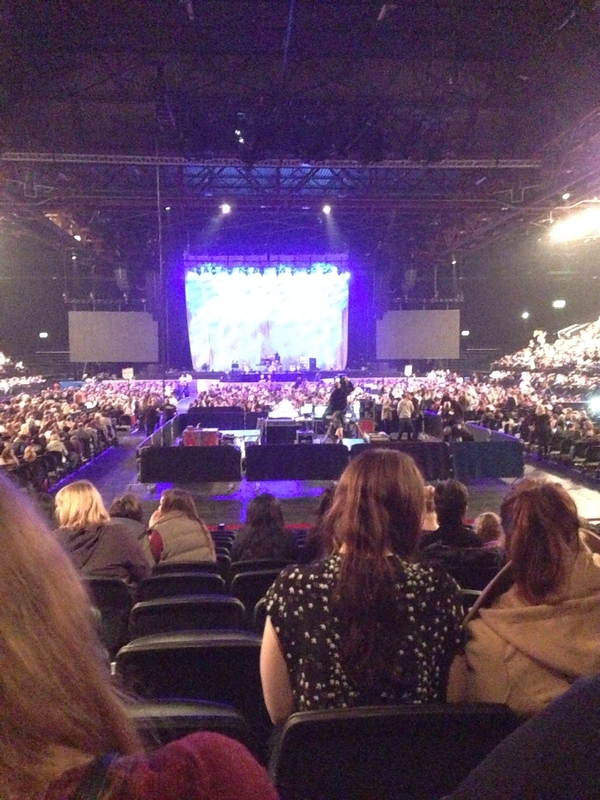 Block 4 is opposite Block 14 so essentially this will be your view, just from the other side of the arena. 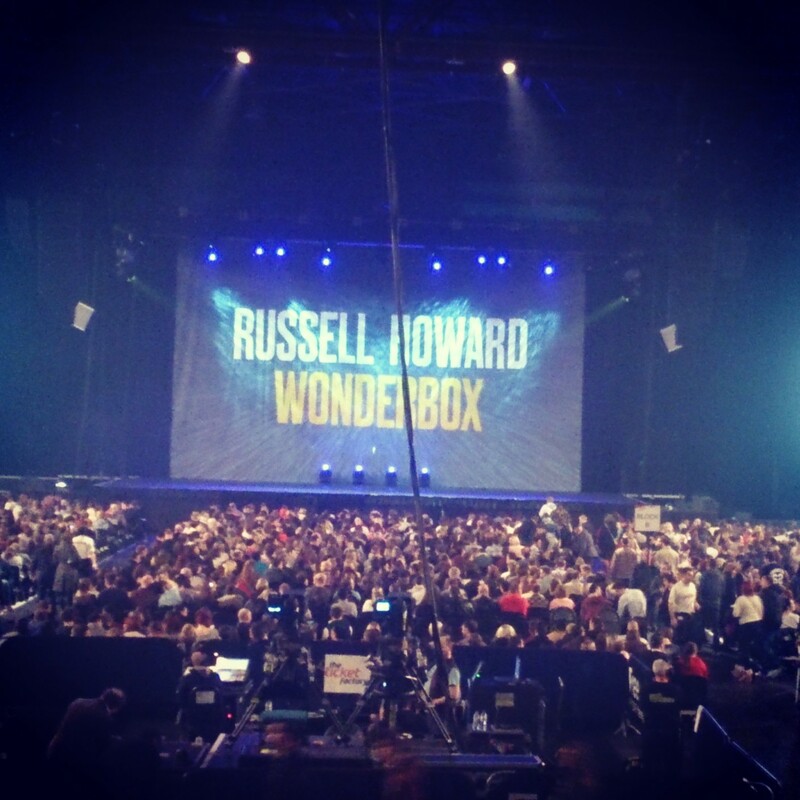 Enjoy the show and hope you’ll come back and upload a pic? 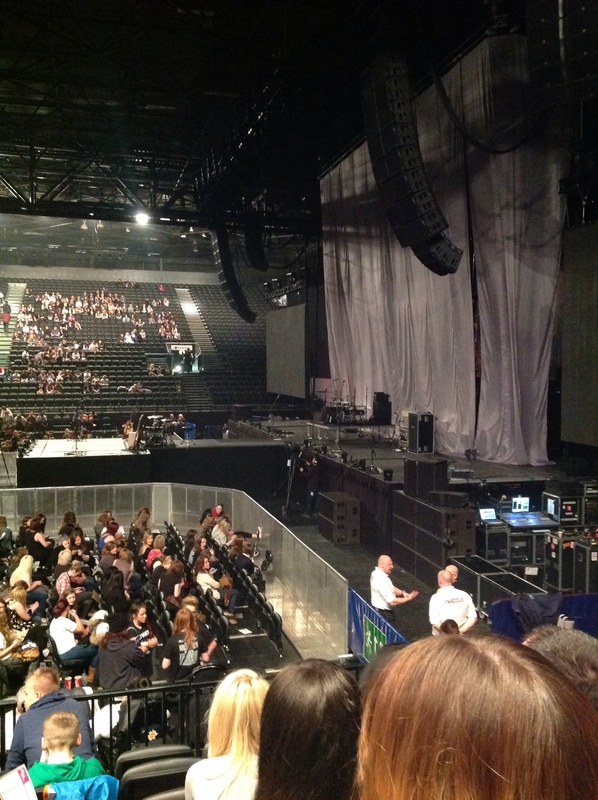 Lower Block 3 seats 49 & 50…. Any good. Hey Barbara – you don’t state which row but predictably the first few toward the front are generally best but anywhere in the lower block is a pretty good place to be. Your seats are toward the aisle between Blocks 2 and 3 so that’s slightly closer to the stage and you’ll also be able to get in/out relatively easily. So all in all, yup pretty good! Enjoy and please do come back to upload a photo! Hi Honor – at fully seated concerts there are usually six lettered blocks A B C in the front row and D E F behind those. In the most typical layout there are about 40 rows in Blocks A, B and C. Blocks D, E and F are usually shorter with about 13 rows (A to M) front to back. 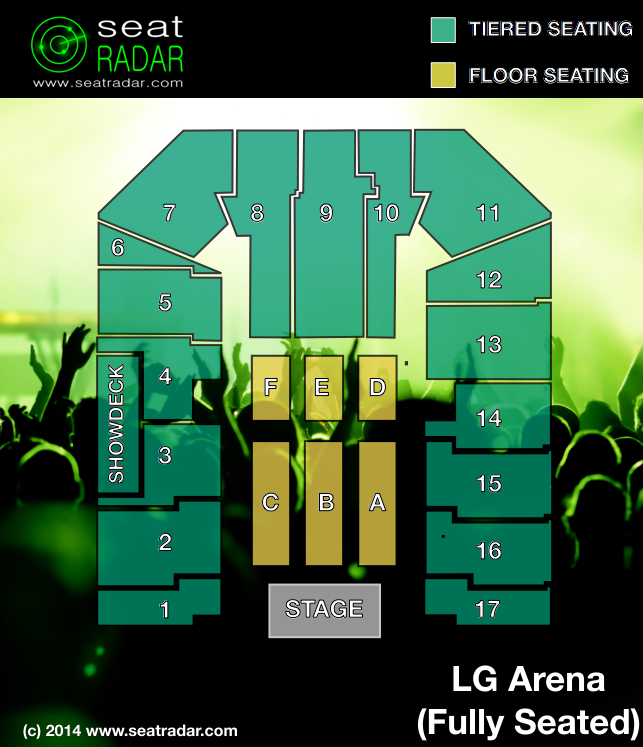 Not every concert uses exactly the same layout though so if your ticket says Block D Row T then that may be why. If you’re concerned/unsure it might be a good idea to check directly with the venue. Block C, Row YA, seat 15 for the Blackmore’s Rainbow concert, June 25th. Good seat or lousy seat?